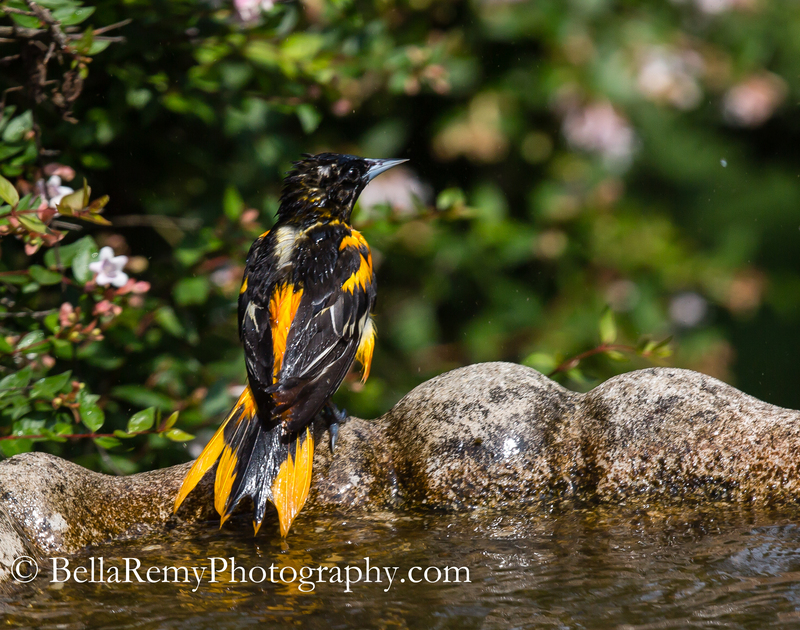 On a warm summer afternoon a Baltimore Oriole came and dipped in the manor’s bird bath. A truly rare sight to see. Splishing and splashing. Dunk and drain, dunk and drain again. 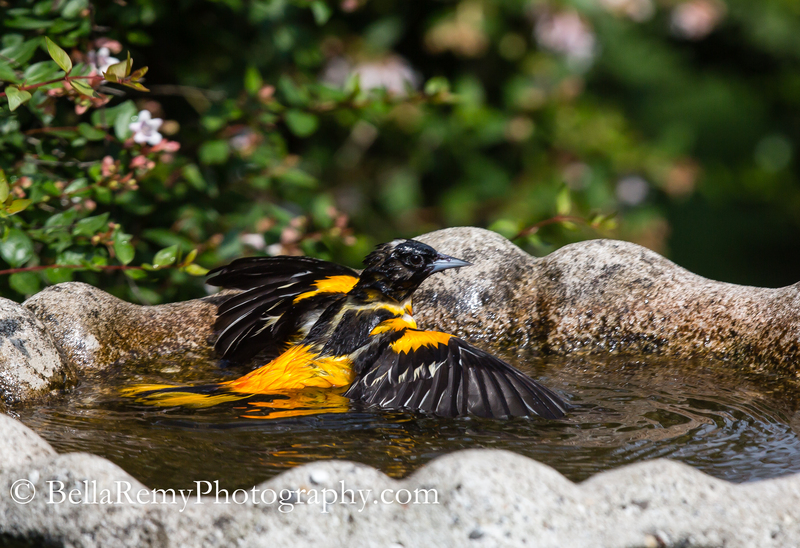 The oriole repeatedly went in and out of the bath enjoying with great delight. An interesting note, when the oriole was dipping in the water, a secondary eyelid called a nictitating membrane is used to protect the eye. Isn’t that orange and black coat amazing? Truly a striking bird, and their song is truly musical. Be interesting to see what you find. 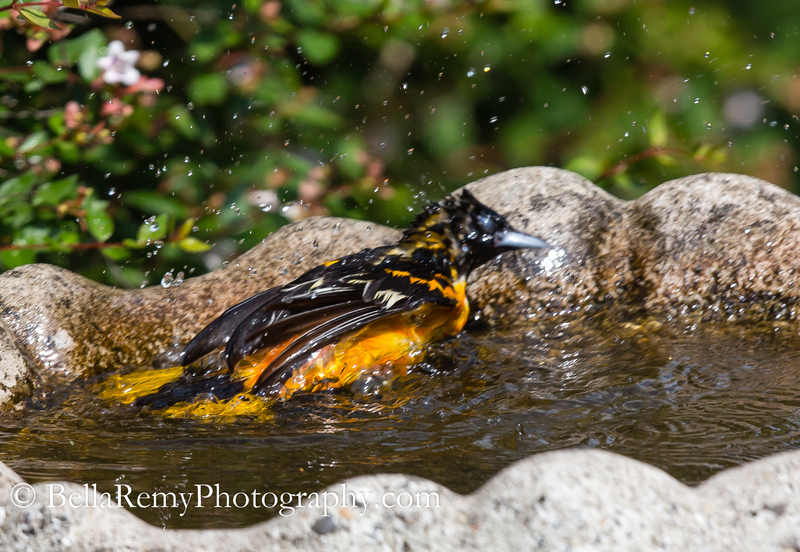 Can’t imagine there are too many videos of an oriole bathing. What striking and beautiful colours! I think this oriole is one of my favorites. It’s hard to pick as each one is special in its own right. Even the lowly brown sparrow.